Mariese Galvin is a peninsula artist who paints from her studio at Martha Cove. Her recent paintings reflect her interest in naive styles,albeit through a fractured lens, and her exploration of colour and line through simple form and shape. 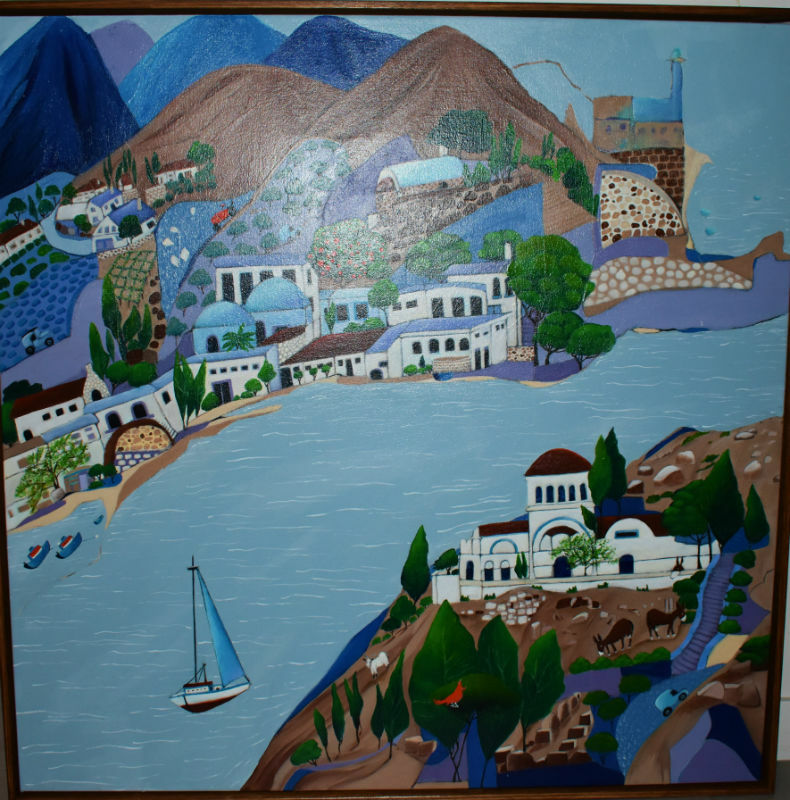 Many of her paintings are inspired by recent trips to the Greek islands with their simple beauty, rocky slopes and mythical past.